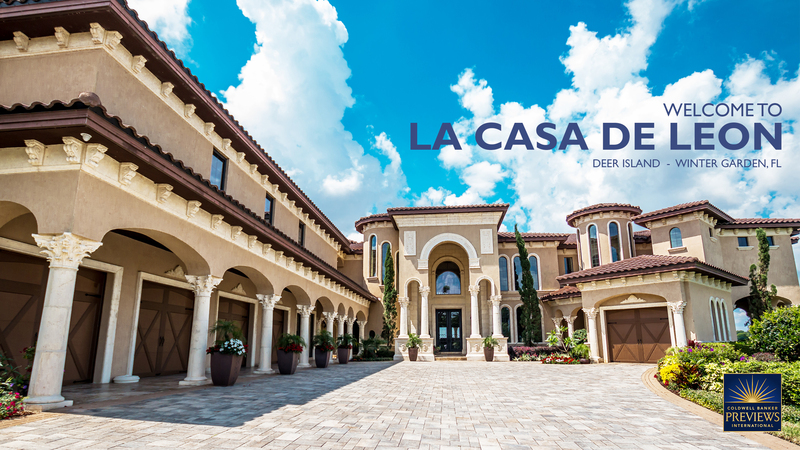 Casa de Leon...an exceptional offering. As a longtime luxury REALTOR one dreams of the day when they find that one special property. A home that artfully combines style, grace, and elegance with a level of detail and intelligent design that would satisfy even the most discriminating buyer. Today, it is my pleasure to present such a home to you! Casa de Leon is a stunning example of the best in luxury architecture and construction. Every detail of this 11,000+ SF masterpiece was carefully considered by the owners and thoughtfully executed by a team of master craftsmen. At every turn and from every angle the eye witnesses the care, love and passion that have been combined to give rise to one of central Florida’s greatest homes. Welcome to Casa de Leon! IF YOU WOULD LIKE MORE INFORMATION REGARDING THIS FINE PROPERTY PLEASE FILL OUT THE CONTACT FORM AT RIGHT AND YOU WILL BE CONTACTED BY THE LISTING AGENT.